Its Friday and our favorite day to celebrate Big and Tall Men of style! Today’s men have gone down in history, not only for their many talents but for embracing their size and wearing it proudly underneath garments that fit great and look awesome. They have paved the way for big and tall men in fashion, demonstrating that size is no barrier to success, instead presenting the ideal that dressing well is about presenting your body in the best and most flattering way possible —without trying to distort the body itself. 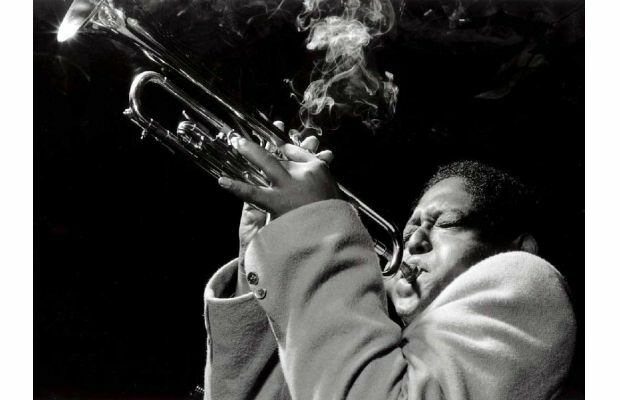 Born Theodore “Fats” Navarro in Key West, Florida 1923, Navarro became known as the pioneer of the bebop style of jazz improvisation in the 1940’s as well as the winner of the Metronome jazz poll for 1948. As an American Jazz Trumpeter he was admired by both and fellow musicians alike. Navarro dominated the scene stealing the audience’s attention with his trumpet solos and loose double-breasted suits. Rocking the Jazz elegance with a dash of devil-may-care attitude, Fats Navarro certainly looked good when he was in his moment. Now just because Navarro was styling in the 1940’s does not mean his look is outdated today. In fact, with the Gatsby fever still hot, this style is right on trend. Kick it old school and rock a pin striped suit, combine this with a classic pair of dress pants and a statement tie and you will be set for your night on the town, Fats Navarro style. Perhaps an obscure fit for this section, as one might not immediately connect the gentle giant John Candy with style but it may surprise you to learn that the trend you’re seeing everywhere, the whole patterned shirt buttoned all the way up with no tie under a sport coat look? Yeah, he started it. 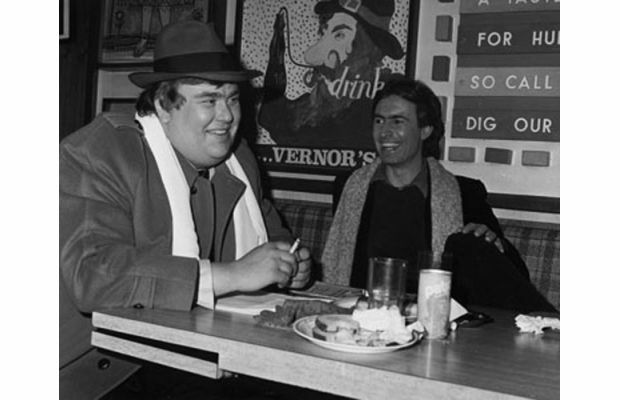 Born John Franklin Candy, 1950, the Canadian actor and comedian rose to fame through a variety of mediums spanning television, stand up and big budget films. Our favorite look on Candy has to be his fedora, coat, and scarf. Looking every bit the off-duty movie star he was, Candy never shied away from his size instead embracing tailor-made suits always accompanied by a simple accessory which finished off his look in an oh-so-Candy way. 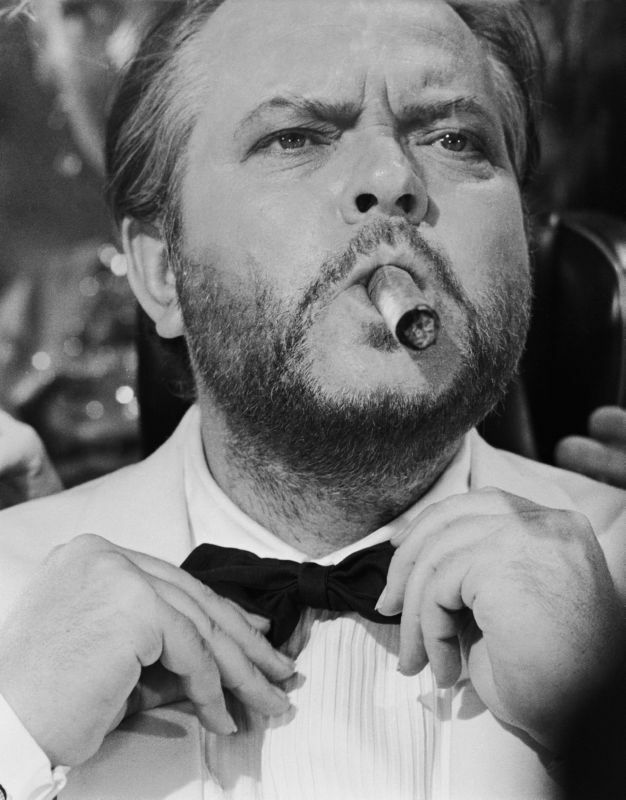 For a man who got his start working on radio, Orson Wells certainly had a look that could shine as bright as any movie star of his day. George Orson Wells, born May 6, 1915 found national and international fame as the director and narrator of a 1938 radio adaptation of H. G. Wells’ novel The War of the Worlds. The infamous performance was reported to have caused widespread panic when listeners took Welles sound effects as an indication of an alien invasion. While a majority of these reports of panic were mostly false and overstated they rocketed Welles to instant notoriety. This aside, Welles was also a notable American actor, director, writer and producer who worked extensively in theater and film. Favoring a strong look for his broad frame, Welles tended to wear a number of classic cut coats, always finished off with either a tie or scarf, the combination of which presented an imposing and impressive figure.